Includes 1 - Avant Instant Hand Sanitizer - (2 fl. oz. ), 6 - Antimicrobial Hand Wipes, 4 - Nitrile Gloves (non-latex), 2 - Molded Surgical Masks, 1 - Bio-Hazard Bag (10" x 12"), 1 - 4-pocket Nylon Cordura Style Holster with a Quick Release Velcro Belt Loop. 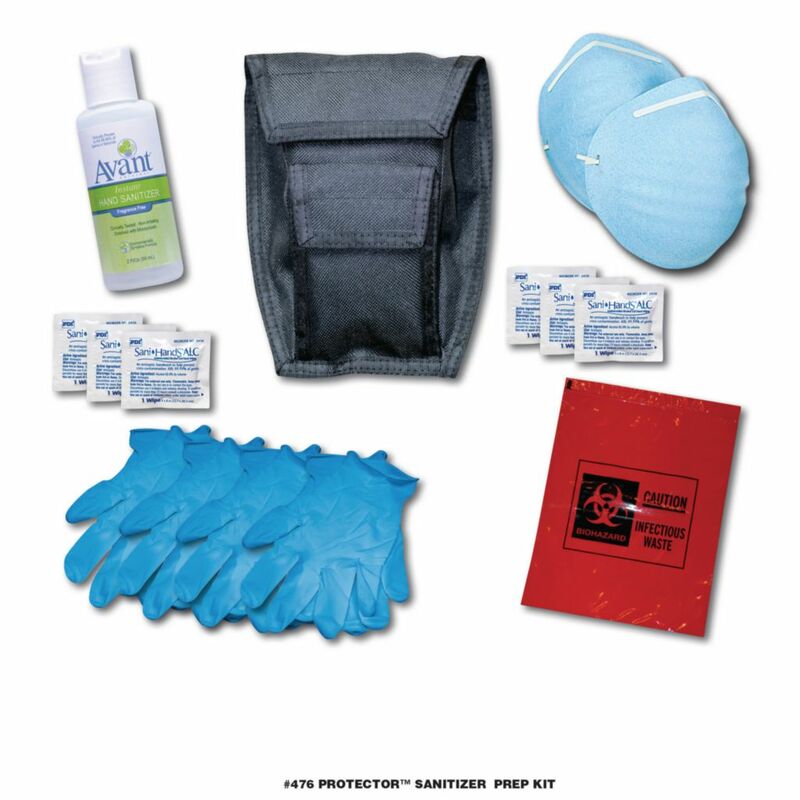 The Protector™ Sanitizer Prep Kit has all the essential products to protect the 1st responder against communicable diseases, airborn viruses or flu/pandemic situations.